Warner Bros. is getting in on the April Fool's Day fun this year. 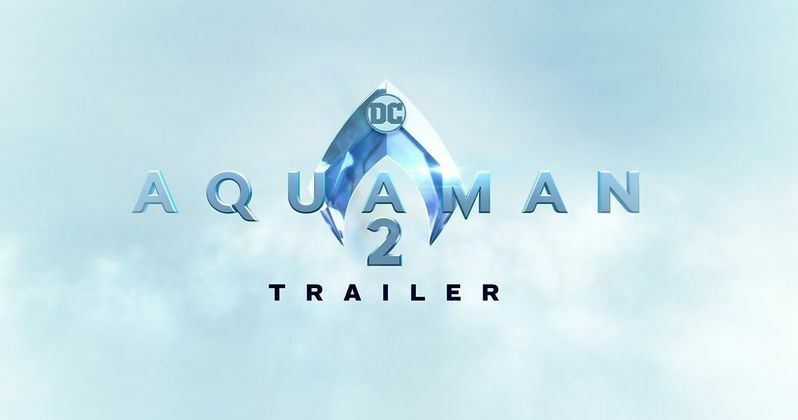 The studio uploaded an Aquaman 2 trailer, which was actually just a clever promo for Shazam!, which opens in theaters later this week. It's a pretty slick move and starts exactly like what we'd imagine an Aquaman sequel trailer would look like, only to quickly flip the script and introduce Eminem's "My Name Is," which instantly gives the joke away. It's a clever troll and perfect for the fun tone of Shazam!. "The Kid Shall Reign" replaces the Aquaman 2 imagery in the fake trailer and some DC fans more than likely fell for the gag since it came directly from Warner Bros. However, it's April Fool's Day and everything is suspect today. The Arthur Curry standalone movie sequel is still in the very early stages of development as James Wan and the studio wait for the perfect script to move forward. With that being said, this prank works so well because of the massive success Aquaman just enjoyed at the box office earlier this year. Shazam! is the next DC project to hit theaters and it has been receiving praise ahead of its release this week. The movie broke records for preview screenings, earning $3.3 million, which beat Aquaman's $2.9 million. DC fans are excited to check out the movie and the fun energy that it brings into the comic book movie genre. The fun and light-hearted tone of Shazam! is a welcome breath of fresh air for DC fans and superhero fans in general, who have the doom and gloom of Avengers: Endgame on the horizon. While Shazam! was easily able to beat Aquaman in preview screenings, it has an uphill battle to even get close to the Arthur Curry standalone movie's box office numbers. It is now the highest grossing DC movie in history with a lot of help from the overseas markets, particularly China, which also helped out Sony's Venom in a major way. The David F. Sandberg-directed movie is expected to make around $45 million domestically this weekend, while Aquaman debuted with $67 million domestically. However, there's a good chance Shazam! could end up making more over the weekend since Disney's Dumbo didn't soar as high as the studio was hoping for this past weekend. Critically is another story. Shazam! is already getting much better reviews when compared to Aquaman, which also had a lighter tone. The Arthur Curry movie was not a critical favorite, which did not affect the movie one bit at the global box office. Aquaman 2 is still a few years away from happening, but it was a great April Fool's Day prank from Warner Bros., which only helps add to the promotion of Shazam!. You can watch the prank trailer below, thanks to the Warner Bros. Pictures YouTube account.